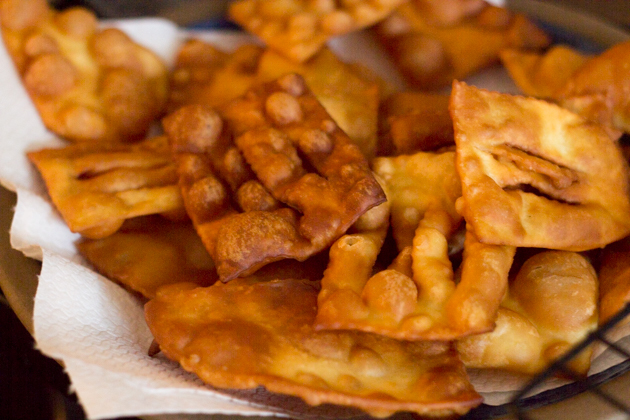 Chiacchiere originated in ancient Rome and were known as "frictilia", small pizzas which were made with wheat and honey and fried in pork fat. They were made for the carnival occasion of Liberalia (an annual feast in the Spring in honour of Liber Pater, the Roman god of fertility, agriculture, liberty, wine and pleasure). These pastries are made all over Italy in different variations. When biting into them the first sensation is the sweetness of the powdered sugar melting on your tongue followed by the crisp flakey break of the pastry with its biscuity lemon and vanilla flavours. Young and old alike delight in eating them (my 3 year old son eagerly helped me make these). 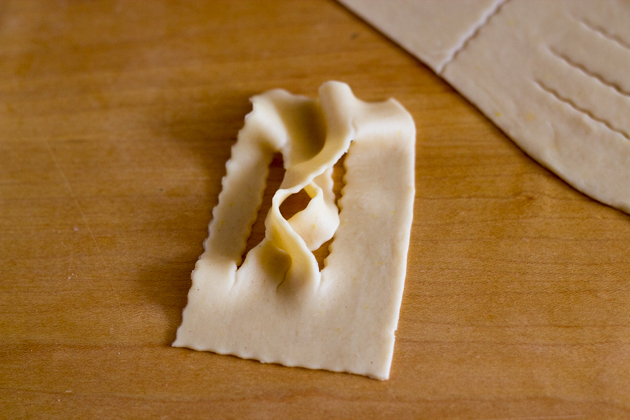 The pastry can be cut in ribbons, diagonals, knots and rectangles. 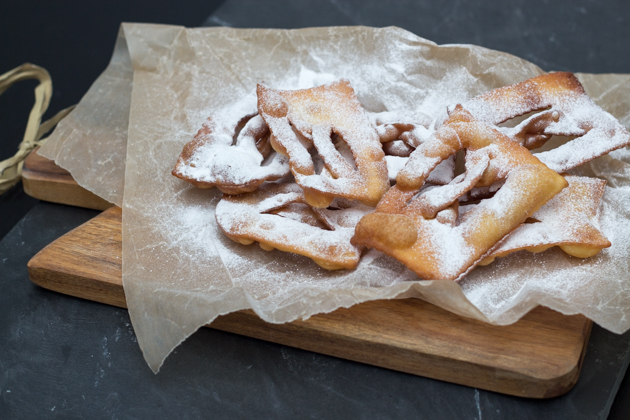 They can be topped with icing sugar, honey, chocolate or sprinkled with Alchermes (an Italian liqueur). 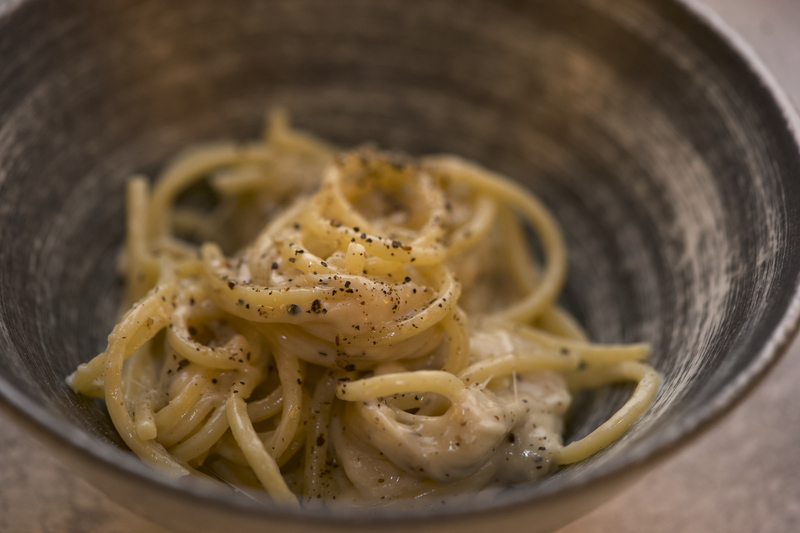 They pair well with whipped mascarpone. 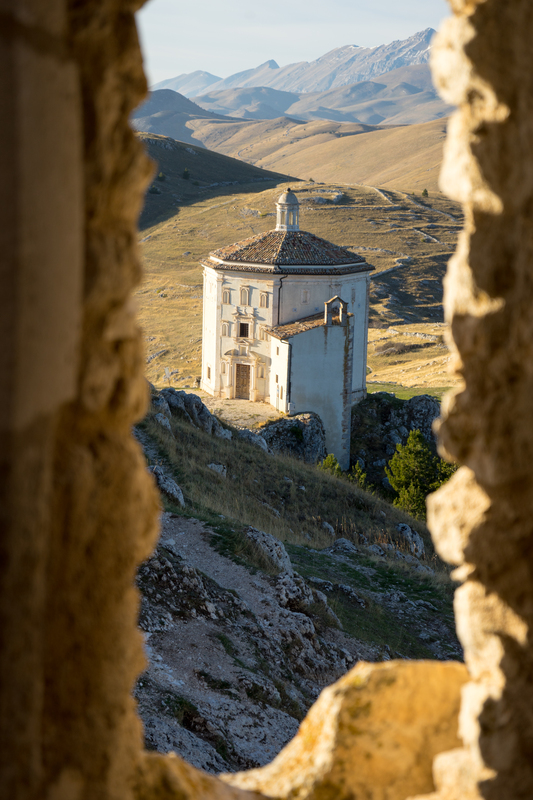 They have many names depending on where they are made: Toscana (cenci, zacarette, donzelline), Veneto (crostoli, galani), Piemonte (bugie), Lombardia (chiacchiere delle monache, frappe, lattughe, gale), Emilia (sfrappole) and Liguria (bugie). Whatever you call them, they are delicious. 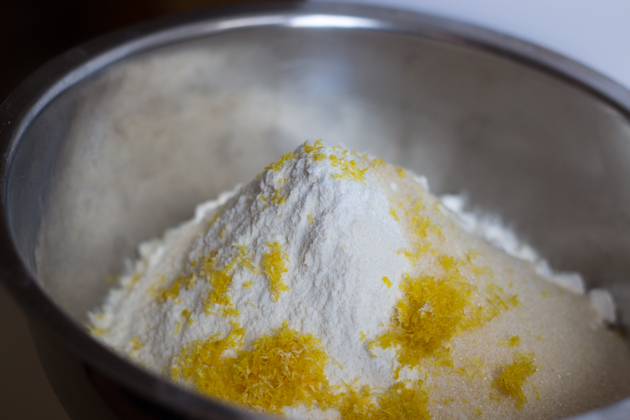 Place the flour, salt, baking powder, sugar, baking powder, lemon zest and powdered vanilla (if using extract, add it to the milk instead) in a bowl. Mix. Hollow out the middle to create a hole. 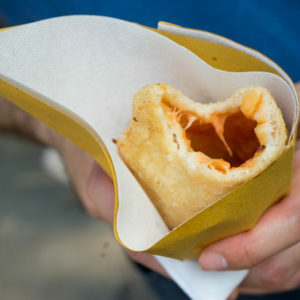 Crack the egg in the hole. Begin beating the egg with a fork, incorporating a bit of the dry mixture at a time until stiff. Add the butter and white wine, mixing well. 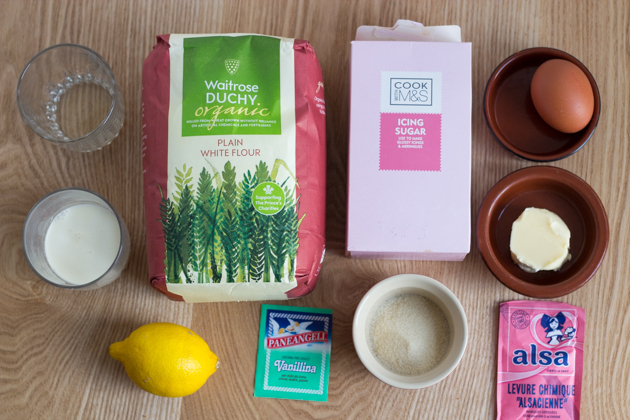 Add the milk, 30 mls (2 tablespoons) at a time until fully incorporated before adding more. 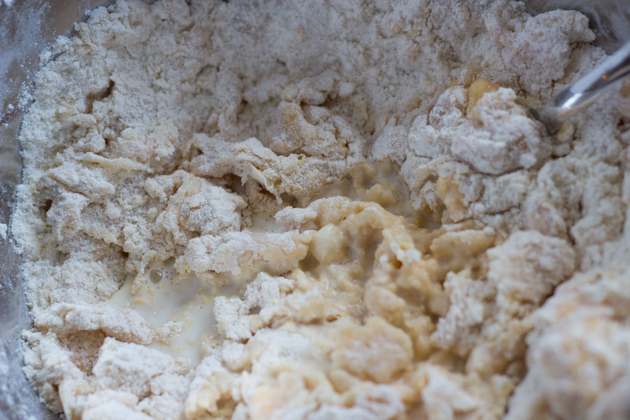 Once all the milk is added, remove the dough from the bowl onto a wooden surface sprinkled with flour. 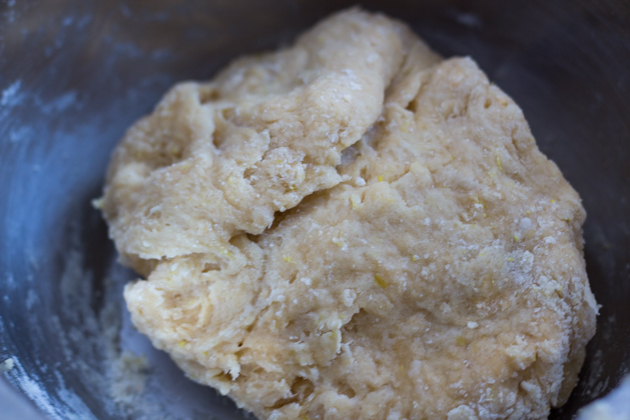 Start kneading the dough. If it is too dry, sprinkle a bit of milk on it. 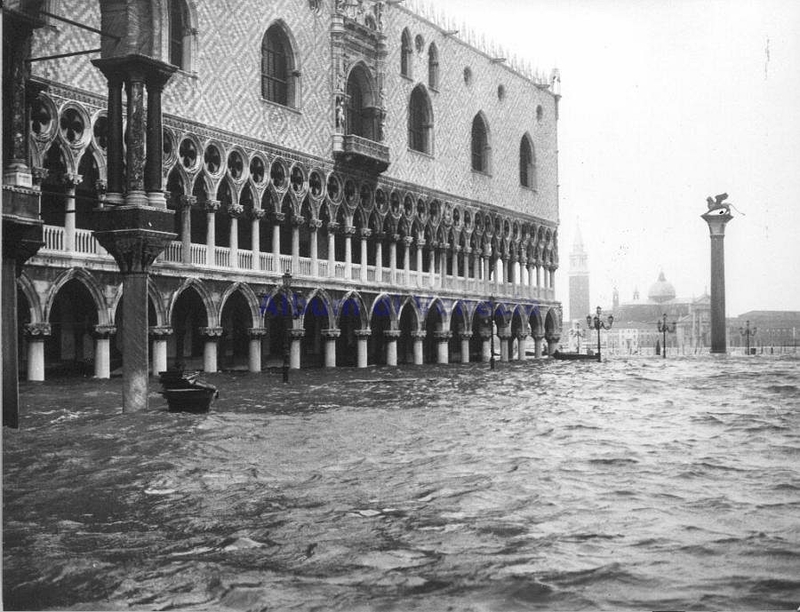 If it is too wet, sprinkle a bit of flour on it. 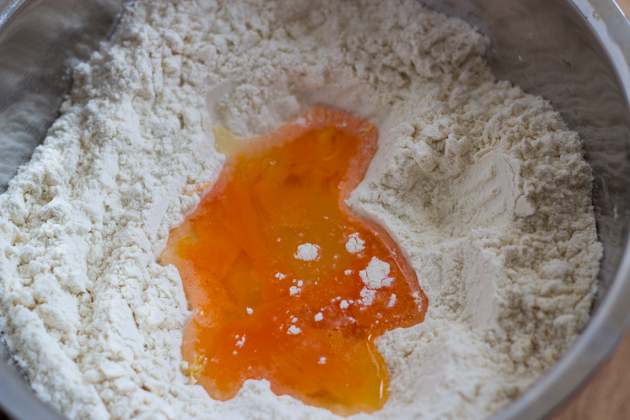 Knead the dough by hand (see method here) for 15 to 20 minutes. 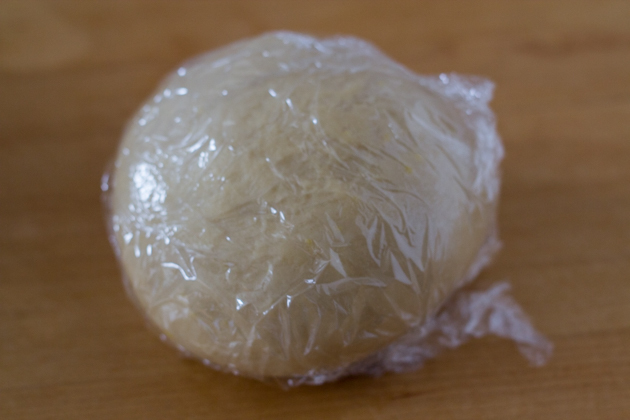 Wrap the dough in cling film and let it rest for at least 30 minutes. 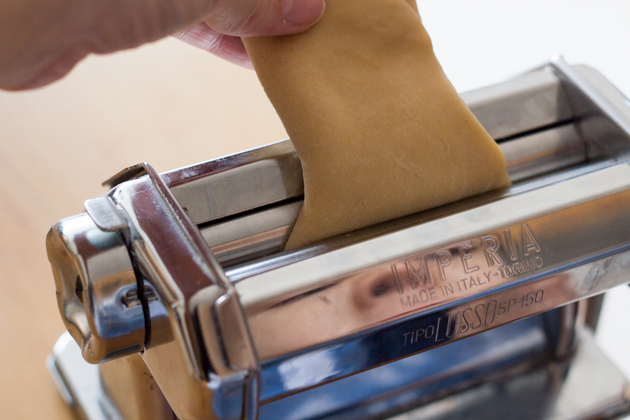 Roll the dough like you would pasta using a a pasta maker stopping at the second to last setting (see method here). 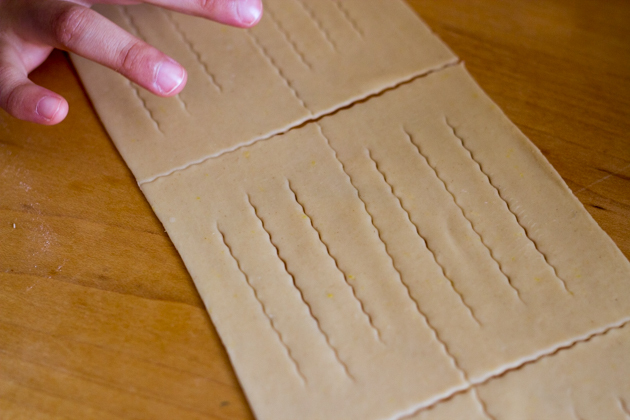 To roll by hand, roll with a rolling pin to 2 mm thickness. 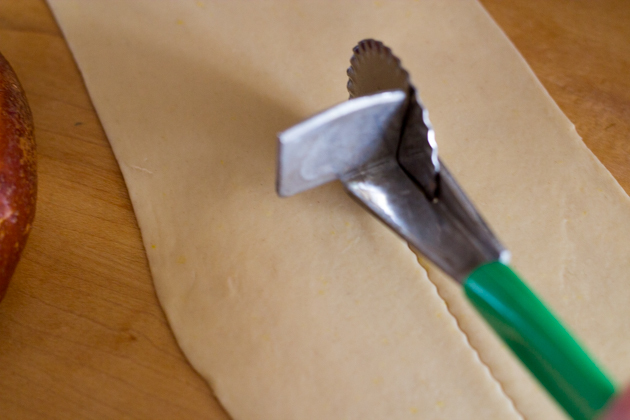 Cut the dough with a knife or pastry wheel into 8 cm by 3 cm rectangles. 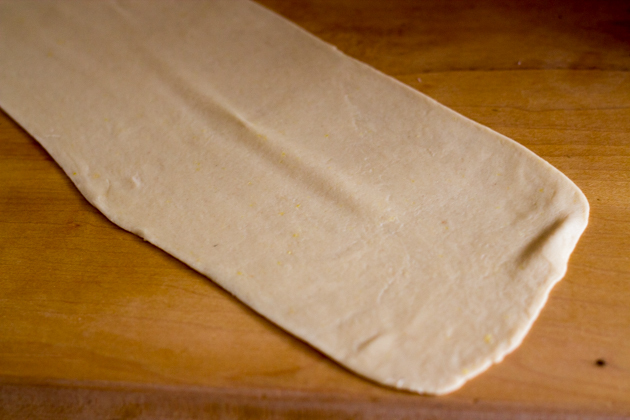 Make three 6 cm lines lengthwise in the middle of the dough. 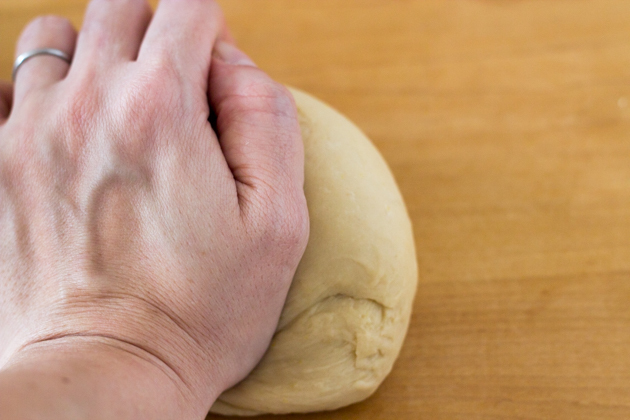 Pick up each piece of dough and use your fingers to separate the lines in the dough. 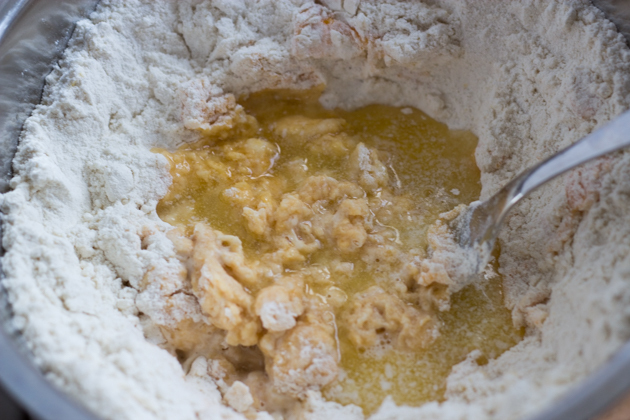 Cross over the two strings of dough in the centre. Repeat with the remaining pastry. 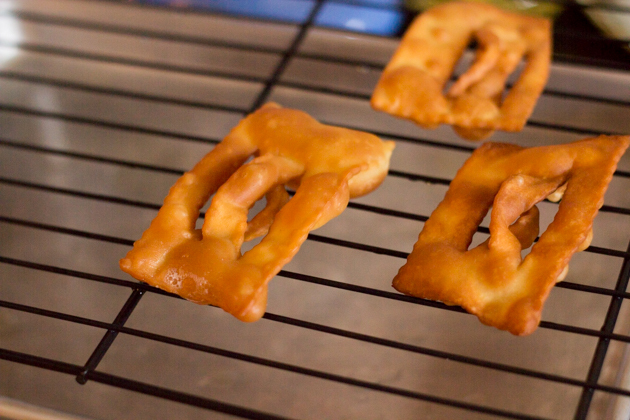 Place a wire rack over a baking sheet. 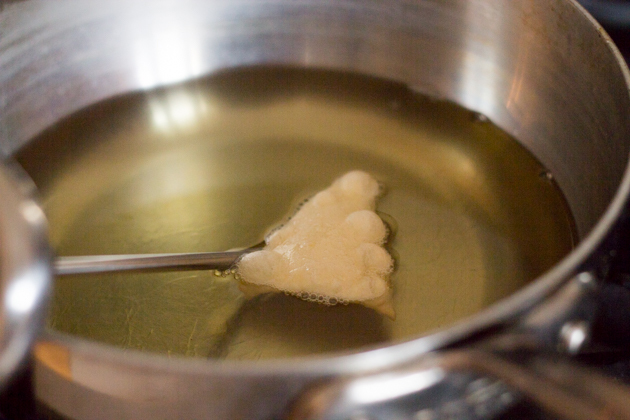 Pour the oil into a wide saucepan to a depth of 3 cm. 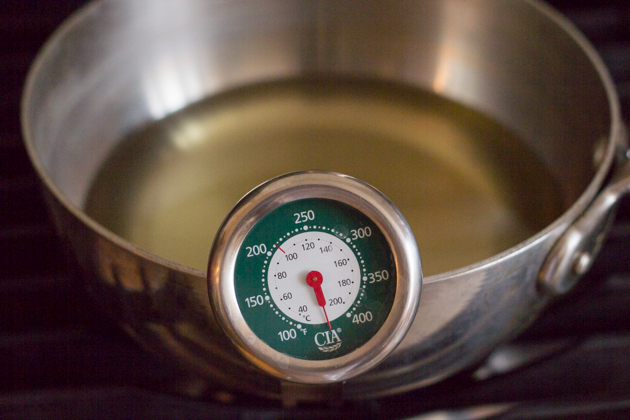 Heat the oil to 190C, monitoring the temperature with a deep-frying thermometer. 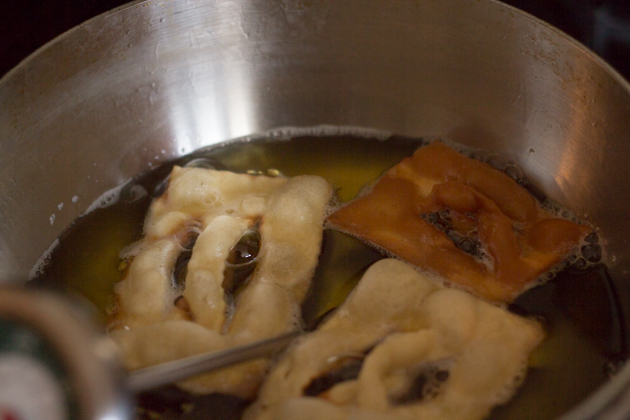 Add the pastry a few at a time and fry the dough until golden on one side (about 2 minutes). Turn over and finish frying the other side until golden (about 2 minutes). Remove the pastry with a slotted spoon and place on the wire rack to cool. Repeat with the remaining pastry being careful to monitor the temperature of the oil. It should not rise above 190C or it can become unstable. It should not dip lower than 170C or the pastry will absorb the oil. 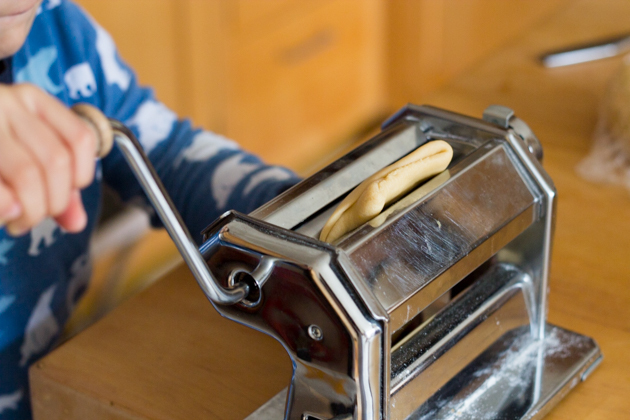 When the wire rack is full, the pastry can be moved to a plate lined with a paper towel to continue cooling. 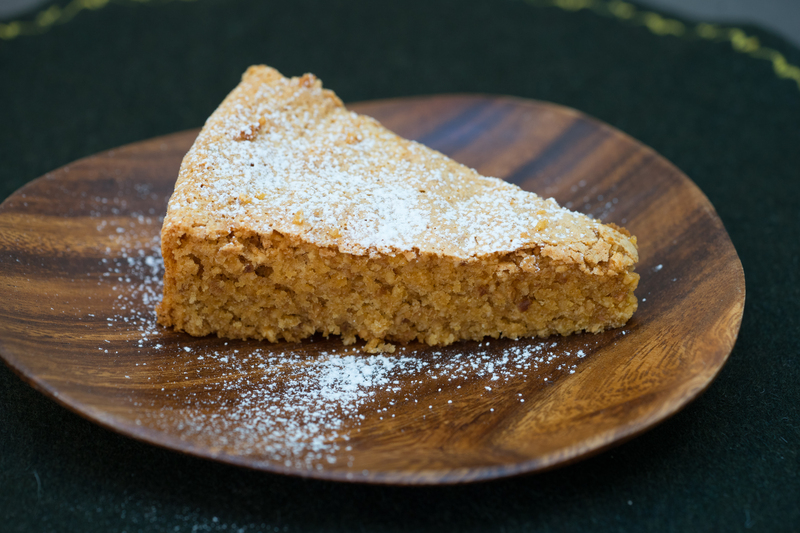 When the pastry is cool, place the pastry on a plate and sprinkle icing sugar over the top.